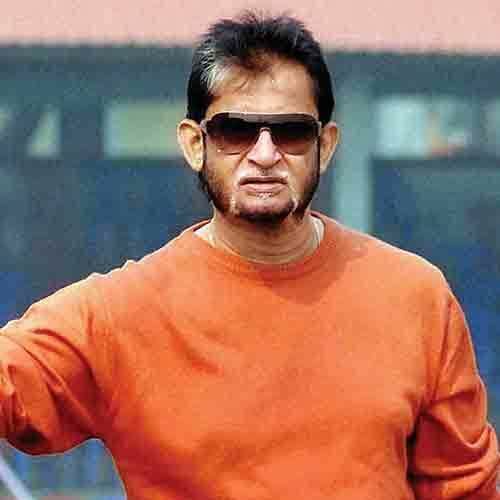 Sandeep Madhusudan Patil (Marathi: संदीप मधुसुदन पाटील; pronunciation ; born 18 August 1956) is a former Indian cricketer, Indian national age group cricket manager and former Kenya national team coach, who guided the minnows to the semi-finals of the 2003 World Cup. He was a hard-hitting middle order batsman and an occasional medium pace bowler. He was the coach of Mumbai Champs in the Indian Cricket League, but returned to the mainstream when he cut ties with the unofficial league in 2009. He has been appointed as the director of National Cricket Academy (NCA) by the BCCI, replacing Dav Whatmore. He was appointed as the new chief of the BCCI Selection Committee on 27 September 2012. 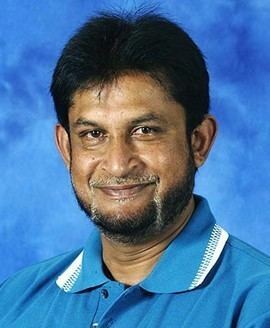 Sandeep Patil. 8 August 1956 in Bombay. His father, Madhusudan Patil, was a former first class cricketer, national level badminton player and skilled player of tennis and football. He grew up in the Shivaji Park area in Bombay, studied in Balmohan Vidyamandir and Ramnarain Ruia College and was coached by Ankush 'Anna' Vaidya. In the early part of his career Patil was as much a medium pacer who bowled off the wrong foot, as he was a batsman. Following three successful years for the Bombay university in the Rohinton Baria Trophy, he made the Bombay Ranji team in 1975–76. After being on and off the team for three seasons, he played his first major innings against Delhi in the 1979 semifinal. Going in at No.6 after Bombay lost the first four wickets for 72, Patil hit 145 in 276 minutes with 18 fours and a six, none of his partners made more than 25. Patil played for Edmonton in the Middlesex league in 1979 and 1980, and for Somerset 'B' in the latter year. Australia and Pakistan visited India in 1979–80. Patil appeared in tour matches for West Zone against both teams, scoring 44 and 23 against Australia, and 68 and 71 against Pakistan. This earned him the selection in the last two Test matches against Pakistan. A week before making the debut, he made his career best first class score against Saurashtra at the Wankhede Stadium. Coming in to bat in the second morning he was 45* at lunch, reached his hundred in 139 balls scoring 105 in the second session, and ended up with 210 made in 205 balls with seven sixes and nineteen fours. The last of the sixes cleared the stadium (a very rare feat at the Wankhede) and landed in the hockey grounds outside. 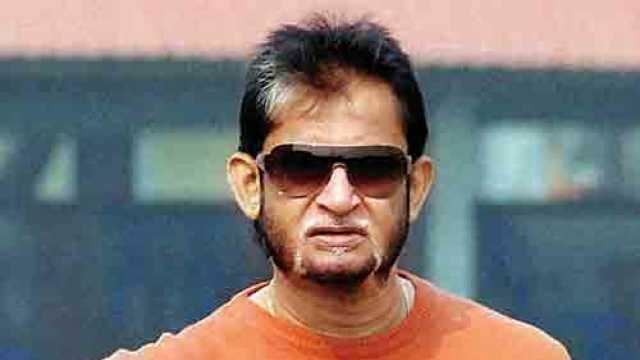 Patil made 62 in the final Test at Calcutta, appeared in the Golden Jubilee Test against England later in the season and was selected for the tour of Australia in 1980–81. In the early matches of the Australian tour, he scored 116 against South Australia, which included Rodney Hogg, and 60 and 97 against Queensland which had Jeff Thomson, Dennis Lillee, Geoff Dymock and Carl Rackemann. He won the man of the match on his ODI debut for a 64 against Australia. In the first innings of the first Test at Sydney Patil had reached 65 when just before the tea break on the first day, he was hit on the throat by Hogg. Continuing without a helmet, he was hit over the right ear by a bouncer by Len Pascoe in the first over after tea. Patil collapsed in the crease and had to retire hurt. Though still unwell, he batted in the second innings at the insistence of captain Sunil Gavaskar as India struggled to avoid an innings defeat. Two weeks later, with a helmet on, Patil hit a spectacular 174 in the Adelaide Test. It came after India lost the first four wickets for 130 against the Australian total of 528. At the time the highest innings by an Indian in Australia, it took him just over five hours and included twenty two fours and a six over mid-wicket off Bruce Yardley. In the next series against New Zealand, Patil opened the bowling for India along with Kapil Dev in the Auckland Test. Patil found himself out of the team after four Tests in the home series against England in 1981–82 but was picked for the away series that followed immediately after. Here in the Manchester Test he scored his second hundred. India was in some danger of following on when he added 96 runs with Kapil Dev a little over an hour. England took the second new ball soon after and Patil hit the last two balls of an over from Ian Botham for four and three. In the next over he hit Bob Willis for six fours (4440444, the third ball being a no ball) – "two cover drives, one flat batted back over the bowler's head, two square cuts of ferocious power and a mighty hook" - taking his score from 73 to 104 in nine balls. He was 129 not out when rain brought an early end to the match. Another hundred followed against Sri Lanka in September but he was again out the team by the middle of the season. While the Indian team toured West Indies, he scored 121* in 84 balls in the second innings of the Ranji final against Karnataka. All his runs came in single session on the final day as Bombay was targeting a declaration. Patil scored 216 runs in eight matches in the Prudential World Cup including 51* in the semifinal against England. He scored 609 runs in the 1983–84 Ranji season, and his fourth and last Test hundred against Pakistan at Faisalabad. On the last day of the Delhi Test against England in December 1984, with his score on 41, Patil was caught at long on attempting a big hit off the bowling of Phil Edmonds. This triggered a collapse and India lost the match that could well have been saved. 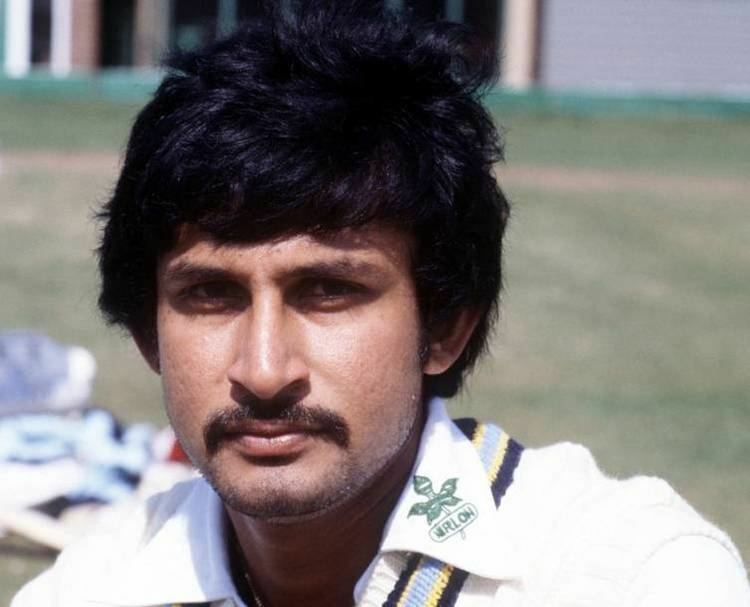 Patil was dropped in the next test at Kolkata as a disciplinary measure, along with Kapil Dev who also fell to a similar shot off the bowling of Pat Pocock. Mohammad Azharuddin who took his place scored hundreds in his first three Test matches and Patil played no more Test cricket, although Kapil Dev would return to squad. In 1986, he was recalled for a few more one day matches. He also toured England without appearing in Tests. 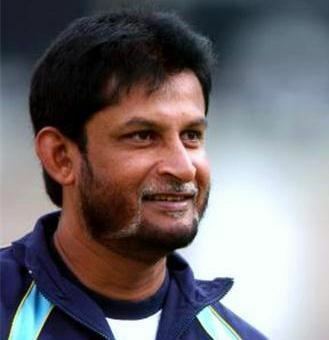 Patil announced his retirement from first class cricket after appearing for Bombay against the Australians in September 1986. But he came back to captain the Madhya Pradesh from 1988 to 1993 with considerable success. One of the more notable innings was a 185 against Bombay in 1990. He went on to coach the Indian national team and the 'A' team. As the coach of Kenya, he guided them to an unlikely semifinal place in the 2003 World Cup. 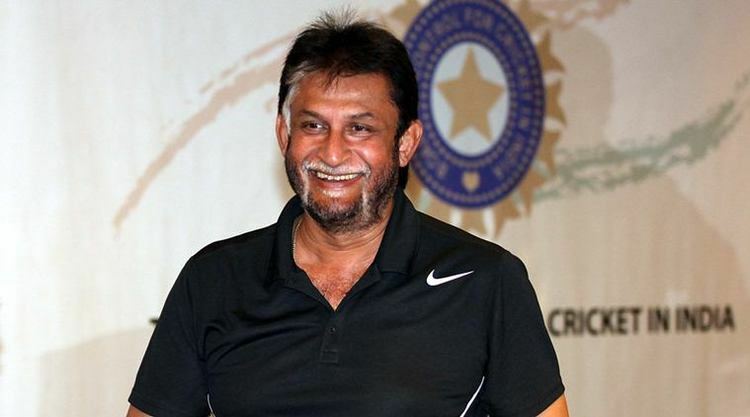 Sandeep Patil served as chairman of selectors of the Board of Control for Cricket in India from 27 September 2012 to September 2016. Patil is married to Deepa. He has two sons, Chirag Patil and Prateek. Chirag debuted as an actor in a Marathi film, RAADA ROX. 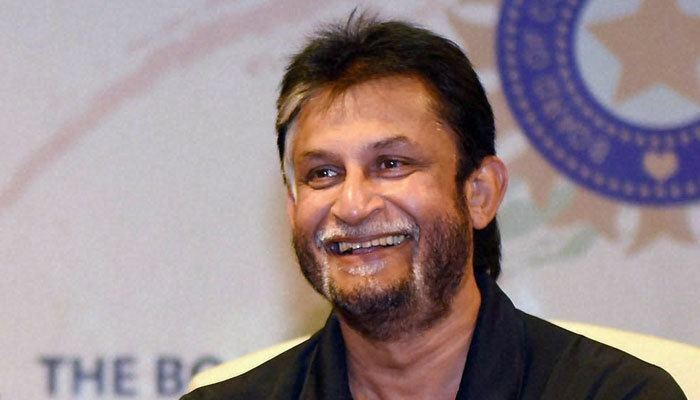 Sandeep Patil had also starred in the movie Kabhi Ajnabi The (1985) with Poonam Dhillon and Debashree Roy whom he fell in love with on the set of the film. He edited the Marathi sports magazine Ekach Shatkar and wrote his autobiography Sandy Storm in 1984.